I find yummy looking stuff like this and think... "oh how easy, I need to try that." 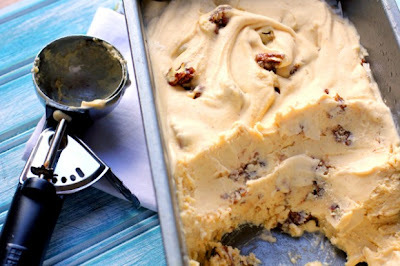 ...i mean, common' ... pumpkin praline ice cream... i want to lick the screen. and have I already shown you these? remember my acorns from last year? aren't these just as cute? 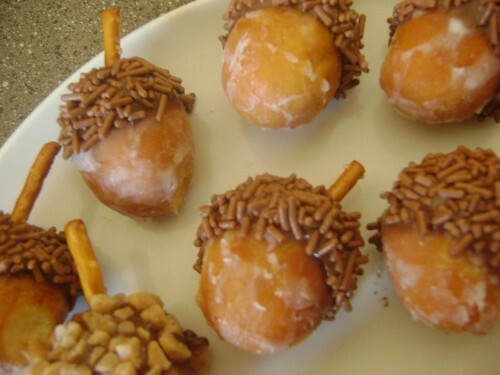 doughnut holes dipped in nutella (or chocolate or carmel), chocolate sprinkles and a pretzel stick.... Love IT!